I hope you had a lovely time during the holidays with your loved ones! I spent two very relaxed weeks with my family at the beach and am now feeling full of energy and creativity :-). 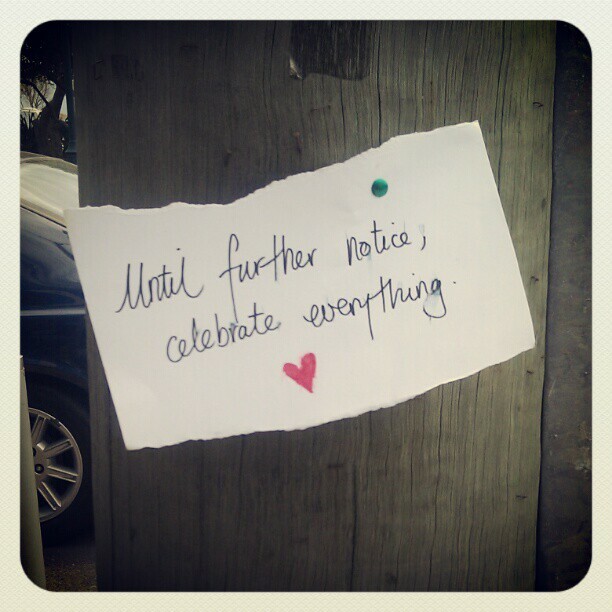 The note in the photo above was pinned to a pole in Kingscliff, NSW – not a bad motto for 2013! 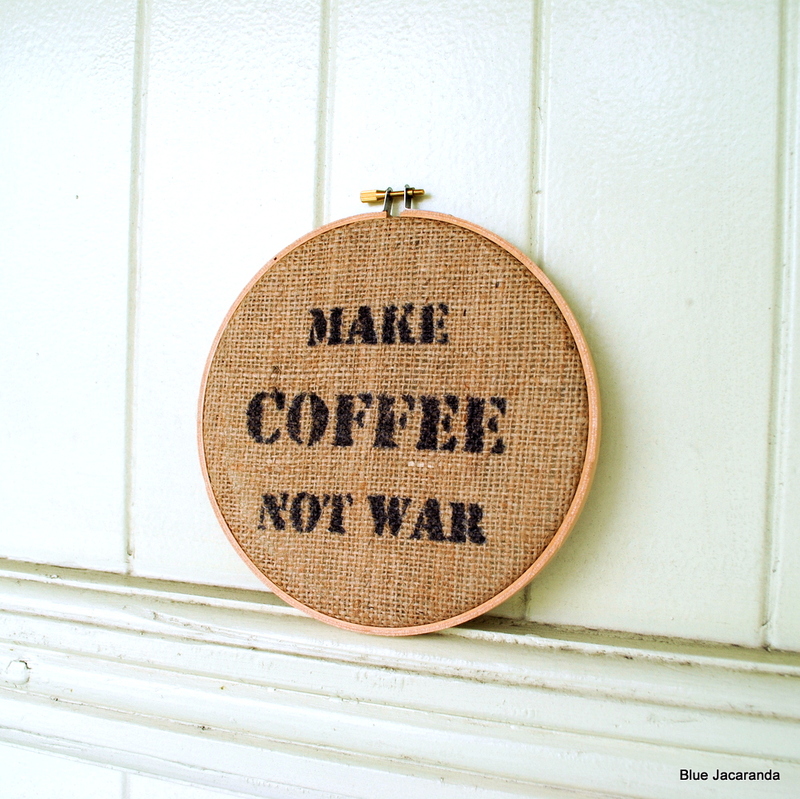 But I like this one even better… The Coffee Quote on Burlap, Stretched in a Hoop, is the latest item in my burlap collection. This one is now for sale on Etsy, with more quotes to follow, as well as a personalized one, where you can choose your own words. What would you like to see printed on the burlap? This entry was posted in Upcycling and tagged burlap, hoop art, upcycling on January 8, 2013 by bluejacarandadesign.